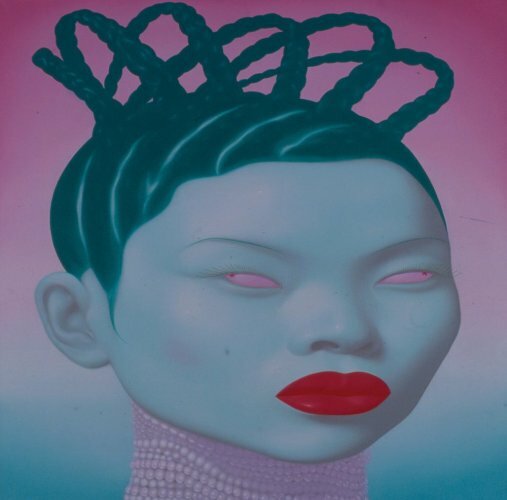 Reminiscent of Warhol’s Marilyn Monroe screen prints, Feng Zhengjie’s works are characterised by his gaudy, futuristic portraits of fashionable women. 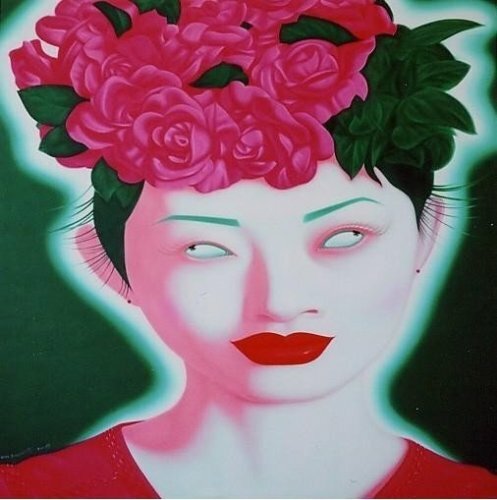 Influenced by Chinese traditional folk drawing and modern advertising, Feng Zhengjie produces generic portraits of women with splashes of fluorescent colours, big hair, luscious lips and vacant diverging eyes. Feng Zhengjie explains that the unique glances represent the clashing coexistence of curiosity and perplexity of modern Chinese society. In the process of opening to the consumer society, people have become curious and eager to learn; whilst all these innovations dazed them, leaving them uncertain about making choices. 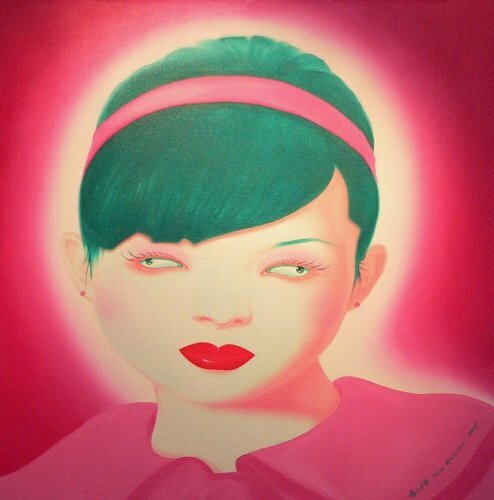 The artist is widely regarded by the contemporary art world as a pioneer of Kitsch painting, although such critique concerns Feng Zhengjie little, nor was painting Kitsch his intention. The artist only follows his emotions as well as forms of criticism, provocation and introspection that he expresses through the palette of colours, style and subjects in his paintings.